Modular workbenches can be customized in many different ways. Standard questions a manufacturer might ask are about height, width and depth, the type of flooring on which the bench will be placed, material type of the bench, the expected weight supported, and what purpose the customer plans for the workbench. 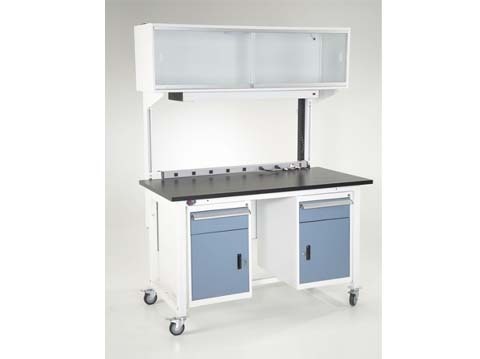 Modular workstations can come equipped with wheels, and those wheels may be customized to have a locking mechanism. Since a modular workbench has parts, it may come with more than one material. For example, a heavyweight steel frame could hold up a rubberwood top. Many workbenches come equipped with space underneath to add storage modules. Modules include single drawers, double drawers, single files, lockers, lockers with shelves, etcetera. Such modules often come equipped with optional casters. Some with the option to add overhead storage modules as well, such as sliding or flipper door overhead cabinets. 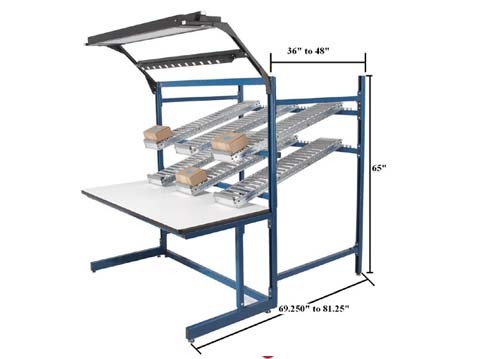 Many industrial modular workbenches even come with the option to add electrical, computer, or lighting components. A modular workbench is also portable, for the worker who isn’t always in the same place. Modular workbenches work well for larger industrial jobs because pieces can be added and removed when needed. They touch every industry, and can even be used for hobby projects at home.